This weekend’s snow storm was just the beginning as Washington is expecting another big storm. The National Weather Service has issues a Winter Storm Watch ending on Tuesday night, with a system that could bring six to twelve inches to the Spokane area along with five to ten inches in Stevens County. The north center part of the state could see six to 15 inches. 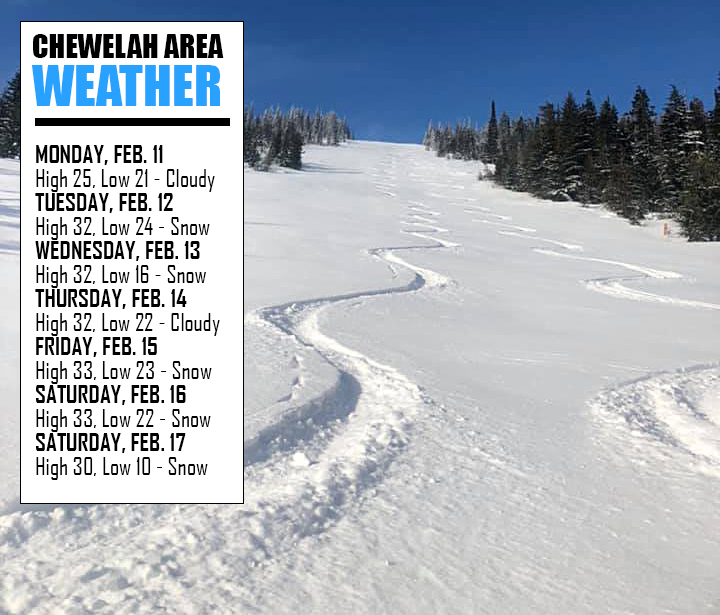 In the Chewelah area, snow is forecasted for Tuesday, Wednesday, Friday, Saturday and Sunday, meaning this February is getting back at us for a relatively mild winter in the first few months. Highs this week should hove around freezing, then next week another cold snap will bring lows in the 10s. Snow is also forecasted at the end of February as well.